The warning was there if I had really thought about it. It was right there in the title "In My Head". But I listened to the song anyway, and now the song is in my head and it will be there for days. So I'm going to do it to all of you. Go ahead, click on the stream below. Don't be afraid, it is a terrific song. Just be forewarned that it really, really will be 'in your head'. This irresistible earworm comes to us via Falmouth's Holiday Ghosts, who are Samuel Stacpoole (of The Black Tambourines, which has featured on this blog in the past), Katja Rackin, and Charlie Murphy, with Ben Woods on bass for recording sessions. The band's self-titled debut album will be released in vinyl and CD formats on September 22 via London/Stockholm label PNKSLM. Yumi Zouma is of New Zealand, but not often in New Zealand. Several members live on other continents, and in the past compositions have involved sending contributions via email. But for their sophomore album, Willowbank, the band reconvened in the home country to write and record together. We expect that the record, to be released October 6 via Cascine, will feature the band's trademark romantic dream pop and pristine production. Our first taste is "December", and we are indeed excited. Note that the band will tour the United States in October 2017. We were worried that Obedient Wives Club didn't love us any more. The five-piece from Singapore has been all two quiet on the recording front for several years, although with things like marriages, jobs and other projects (including guitarist Cherie Ko's promising Tomgirl), one can't accuse them of idleness. However, in mid-July the band released Cinematica, their latest EP of super-addictive Spectorgaze. For those not familiar with the genre, is is Spector-like wall of sound, female vocals, lots of reverb and a bit of fuzz. It is retro, atmospheric and, at times lush. As compared to their prior recordings, the sound is cleaner and the vocals higher in the mix. And our ears think that it is quite delicious. Sweet melancholy and wistful sighs, just what the doctor prescribed. Obedient Wives Club is YinQi Lee (vocals/keys), Keith Tan (guitar), Cherie Ko (guitar/backing vocals), Sulaiman Supian (bass), and Lennat Mak (drums). Cinematica is released in digital and vinyl formats. Check your favorite outlet for digital; vinyl will ship in September, and can be pre-ordered at the band's website (linked below). And you should be able to stream it on Spotify if you are a user. When I walked into the office today two interns were fighting for control over the WYMA music delivery system. One argued that they wanted to hear Hulaboy, the long-running musical partnership of Boyracer #1 Stewart Anderson and Eric M. Stoess of Hula Hoop. The other intern was arguing for Safe Distance, which consists of Simon Williams of Crayola Summer, Great Leap Forward and others, and the aforementioned Stewart Anderson. With the wisdom of Solomon, and control of the WYMA catalog, I stepped into the dispute and settled it without blows (and good thing I did, because she would have taken him apart). What is my secret? 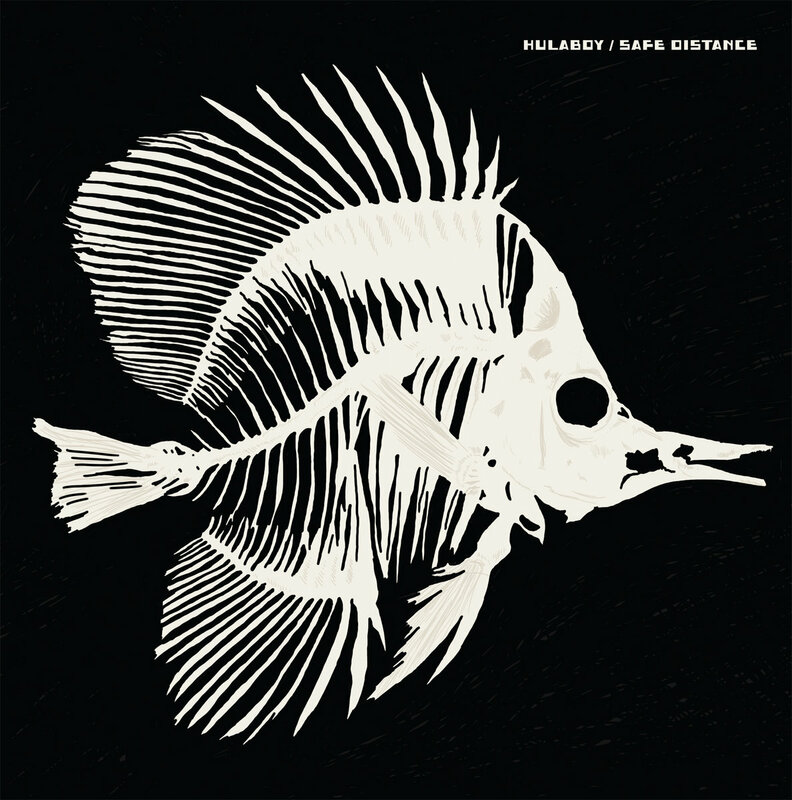 The knowledge that Emotional Response Records recently released the Hulaboy + Safe Distance Split LP. Album cued up, peace restored, music joy delivered in surround sound. I'll add that both interns are correct. The bands are worth listening to, and what better way than to have them in a single album? Check it out below, and hit the Bandcamp link for more. It is the band's job to provide the music, and it is our job to use words to try to describe the music. But sometimes the band describes their music so perfectly that our initial reaction is "what they said". And so it us with Scotland's Errant Boy, who provide the following description on their Bandcamp page for their 2016 album A Wayward Mirror: "Melodic guitar manoeuvres and lyrical unease". Exactly so! Of course, if you follow along with the lyrics for A Wayward Mirror (which are helpfully provided on the Bandcamp page), you won't find the band's concise descriptive accuracy any surprise. Errant Boy delivers the melody, lyrics and performance in equal measure. The variety is impressive, and the album demands repeated plays. You might well wonder why we are bringing you an album released over a year ago. The answer is twofold. First, we only became aware of the album when preparing for a feature on the upcoming solo album by Stephen McLaren, which is to be released by the label that released A Wayward Mirror. Second, we think this album is just too good to not feature. Errant Boy is Chris Harvie (guitar), Keith Kirkwood (drums), Fabien Pinardon (bass/drums/piano), Sean Ormsby (vocals/guitar/synth), Stephen Dennis (occasional keys), and Ann Coates and Emmanuell Le Coz (occasional backing vocals). 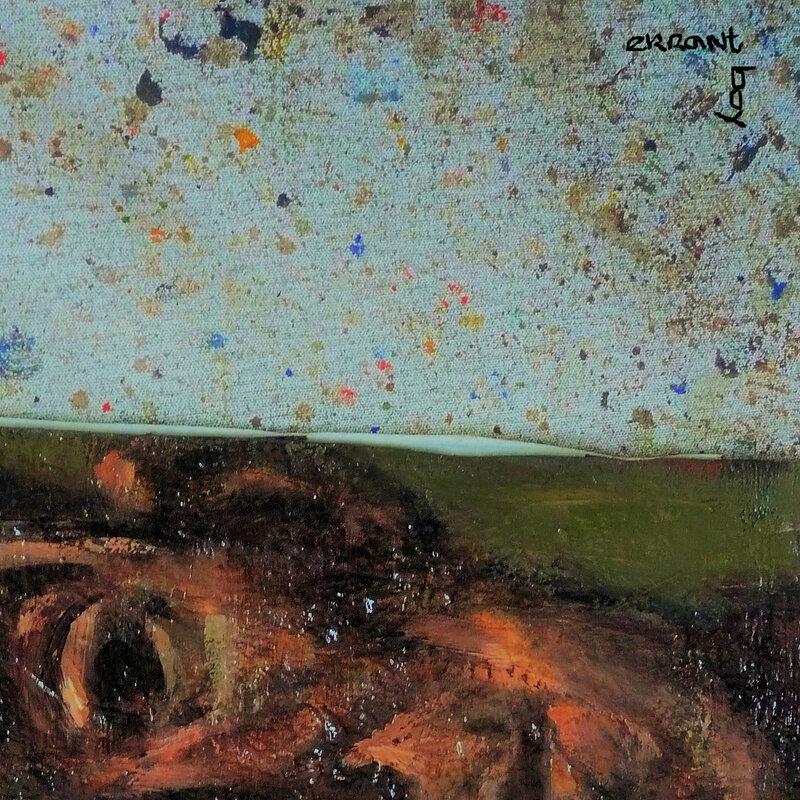 The album was released via Errant Media. Annie Hart can make one feel inadequate. Hart is one of the three vocalists/keyboardists in Au Revoir Simone, which has released four well-received albums. If I had that credit on my resume, and my band went on hiatus, I'd probably read a few books, get some exercise, and lie to my friends about my progress in writing a thriller that not only would be a best seller, but also would be made into a Hollywood blockbuster. To put it another way, I'd not get a lot done. 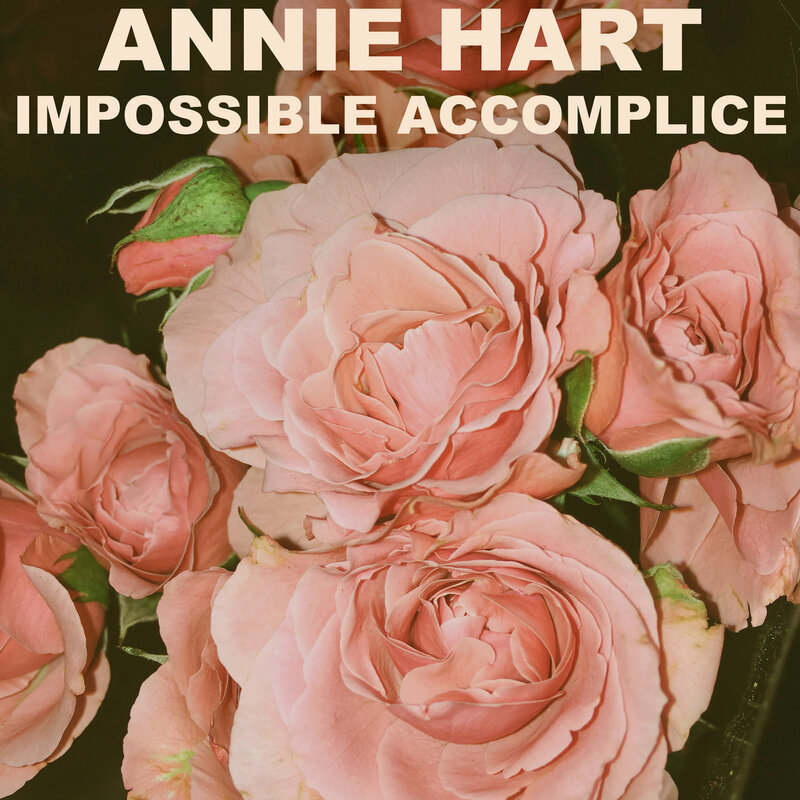 On the other hand, Annie Hart used her downtime to craft the eight songs that are Impossible Accomplice. And I can't even criticize her for making me feel inadequate, because those songs are really, really good. Hart employs her great melodic sense and a beguiling voice to spin concise pop gems and melancholy ballads wrapped in dreamy synths. She played all of the instruments and recorded nearly all of the album in her basement. With a dark perspective and eight songs of less than four minutes, the effect is like a warm summer rain shower. Make that a welcome summer rain shower. This may be your synth pop find of the summer. In our opinion, Sweet Madness was a band that deserved to be regarded as one of the United States' best new wave band (our review of one of their compilations here). They had just enough raw garage and punk to add some frayed edges to the new wave gloss, and they could write and perform at a very high level. Maybe it was bad luck, maybe it was their location in out of the way Spokane, Washington, but it didn't really happen for them. But not a band full of quitters, by 1981 they decided they needed to change their venue and their name (in the latter case, to avoid confusion with second wave Ska band Madness). So Sweet Madness of Spokane became Next Exit of Seattle. Ancillary to those changes, John Robison the keys/synth player and one of the songwriters, and bass player Don Lynd, dropped out and guitarist Greg Morlan and bassist Jef Morlan added to the remaining members Jan Gregor (vocals/guitar) and Mark Fenton (drums/backing vocals). In Seattle Next Exit continued to play from the Sweet Madness catalog while developing new material and reworking the new, more guitar-centric sound. I know, you are asking how you can get some of this material. Well, this is your lucky day, because a trip to Bandcamp can get a digital download of One Way Ticket 1981 -1982, which includes 13 Next Exit interpretations of Sweet Madness songs and three new songs. We'll note that even if you have the Sweet Madness material this album is worth getting, because the added edge and energy of the added lead guitar puts a different cast on the Sweet Madness songs. Happily, this isn't even all we'll here from this talented lot. 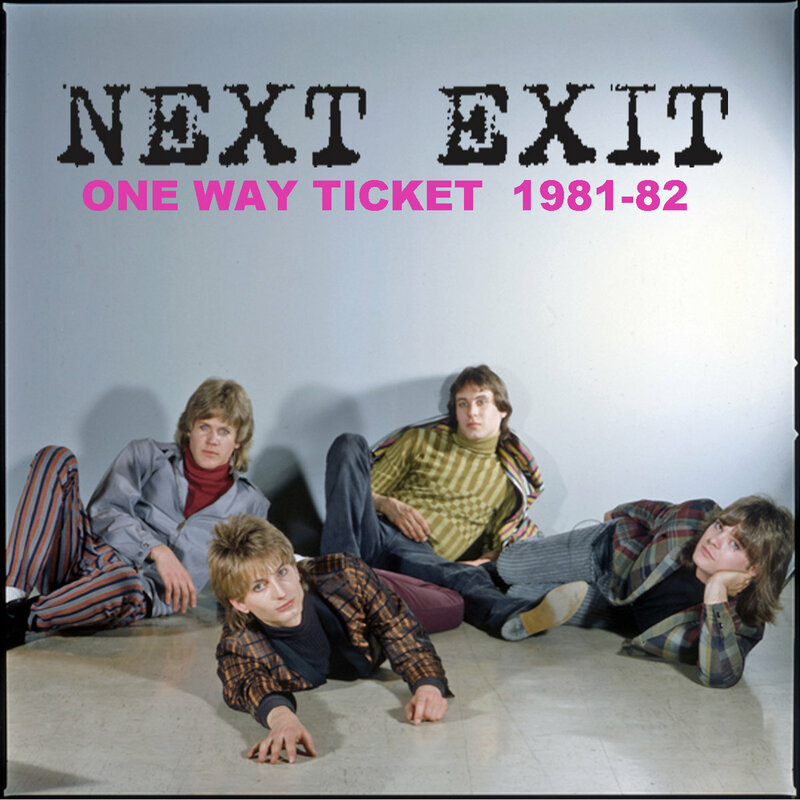 Next Exit lasted two more years and an additional compilation may be ready by this Autumn. By the way, the band later became Variant Cause, but I have no word on whether any of that material is forthcoming.